WASHINGTON (Reuters) - Federal Reserve officials planning to lift interest rates as soon as September have been encouraged by solid U.S. jobs growth, but inflation holds the key to how far the Fed can go in moving rates away from zero. Fed officials have said that they do not need to see prices accelerate to start raising rates after six years near zero, and "lift-off" appears nearly ordained by a 5.3 percent unemployment rate, the lowest since April of 2008. But it would be a leap of faith to move any further without proof that prices are on the rise, say current and former officials familiar with the central bank's debate and the current state of inflation research. "There is a big component of inflation that is just going to be idiosyncratic and unexplained," leaving policymakers to take their best guess about it, said former Fed research director David Stockton. He said that after an initial rate increase, Fed Chair Janet Yellen would lead her colleagues on a "cold, dispassionate examination" of what the inflation data are actually showing. "If inflation is not moving back to target ... then she can argue for a go-slow approach." Inflation will be the key topic at the Fed's annual Jackson Hole economic conference on Aug. 27-29 and the gathering is likely to highlight how little policymakers and economists feel they understand about the behavior of something so central to monetary policy. Inflation did not fall as much as expected during the 2007-2009 recession, it has not risen as much as expected during the recovery, and there is suspicion it may remain hard to budge, said Michael Owyang, an assistant vice president at the St. Louis Federal Reserve Bank. "There has been a lot of new research. Volumes of new research. And I am not sure there is a consensus about how policy affects inflation at the zero lower bound," Owyang said, referring to the fact that the Fed's benchmark has been held near zero since late 2008. "Inflation dynamics have changed." The rest of the world is not helping. A weak global economy has depressed world commodity prices. The prospect of the Fed raising rates has boosted the dollar, further undercutting inflation through lower import prices. 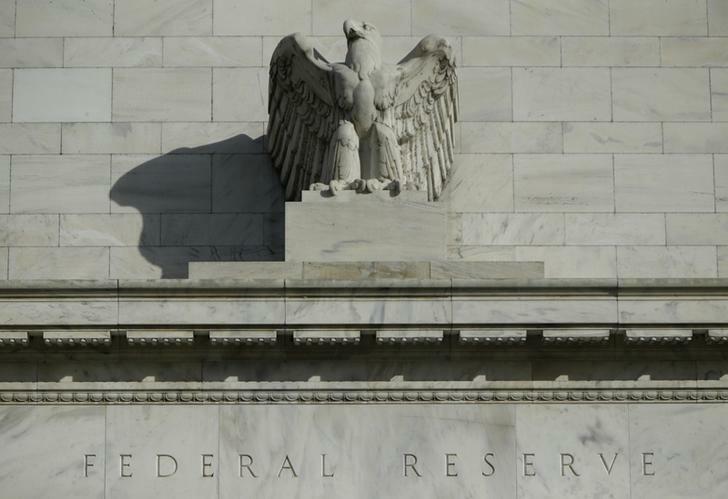 That has confounded the Fed's forecasts for a year now, and according to minutes of its July meeting remains a central concern - and one of the risks that could delay an initial rate hike beyond the Sept. 16-17 policy meeting. After the minutes laid out the internal debate about inflation, investors cut their expectations for a September "liftoff" in favor of December. The Fed, keen to move away from zero and create some policy wiggle room, may still move. But at some point it needs inflation to do so as well. Part of the logic of the Fed's 2 percent inflation target is to allow the central bank to lift its benchmark rate and build a cushion for monetary policy to respond to any new economic threat without letting inflation-adjusted rates go up too much. The Fed's estimated "neutral" federal funds rate of around 3.75 percent is premised on inflation rising to target, and unless it does the tightening cycle will have to go slow, or stop altogether. "Seeing inflation converge ... will clearly be an important signpost for us as we are looking at decisions to be made post-liftoff," said Atlanta Fed President Dennis Lockhart. The Fed's latest forecasts see inflation hitting the 2 percent goal in 2017, and interests rates reaching a neutral level sometime in the next year. Inflation was a mere 0.3 percent in the second quarter, and even the Fed's preferred gauge, that excludes volatile food and energy prices, stands at 1.3 percent and has been falling since 2013. Recent research shows how much the inflation landscape has changed. Falling unemployment and consequent wage increases, for example, no longer drive near-term inflation as they did in the 1960 and 1970s, according to research at the Fed's Washington-based board. That possibly reflects labor's declining share in the value of goods, or the fact that a tightening labor market no longer translates dependably into significant wage increases. Studies also show a break between the unemployment rate and short-term inflation some time in the 1990s, with price increases flattening out and impervious to fluctuations in the employment level. Consumer and business expectations, meanwhile, are thought to play a larger role. Since 2007, a series of shocks have also weighed on prices, beginning with the U.S. financial crisis, followed by the euro zone's debt troubles, China's economic slowdown, a world commodity rout and households' efforts to reduce debt and save more. The success of Yellen's tenure may hinge on whether she and other Fed officials are correct in their view that all of this will prove temporary, that the U.S. economy is more "normal" than it might seem - and that tight labor markets will ultimately spark price increases. The conviction is rooted in the decades-old, mainstay theory that there is an inverse "Phillips curve" relationship between unemployment and inflation. The relationship seems to have weakened over the years, and some argue Yellen should seek more proof about inflation - or risk a potential policy mistake.